Getting ready to pay the annual FIFA tax? If FIFA 18 is on your Christmas wishlist, you might want to give it a try before you buy. Good news then: the FIFA 18 demo goes live today. Whether you're playing on PS4, PC or Xbox One, you'll be able to go hands-on with the game later today, with EA offering up the Kick Off mode and a preview of this year's The Journey single-player story mode, too. However, if you're a Nintendo Switch owner waiting for FIFA's debut on the handheld convertible, you'll need to keep waiting – there's no word yet on its version getting a demo any time soon. ...which should give a pretty good indication of how this year's iteration plays out on the pitch. 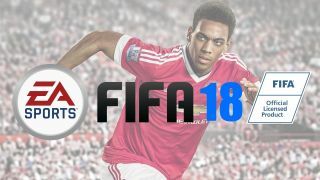 With FIFA 18's release date set for 29 September, there's a few weeks left then whether or not to commit your cash to the footy-sim for another season.